“She’s such a calm baby!” Blissfully ignorant words spoken by a delirious new mother while holding her sweet, doe eyed infant in the hospital days after delivery. My girl… the little love of my life. She was a calm baby. Then she wasn’t. She started crying a lot around 3 weeks old and it seemed she would never stop crying. Then I cried… a lot. Why do babies cry? There are so many reasons and it can feel overwhelming when you don’t know what is wrong. The whole “there is nothing wrong with you so why are you still crying?!? 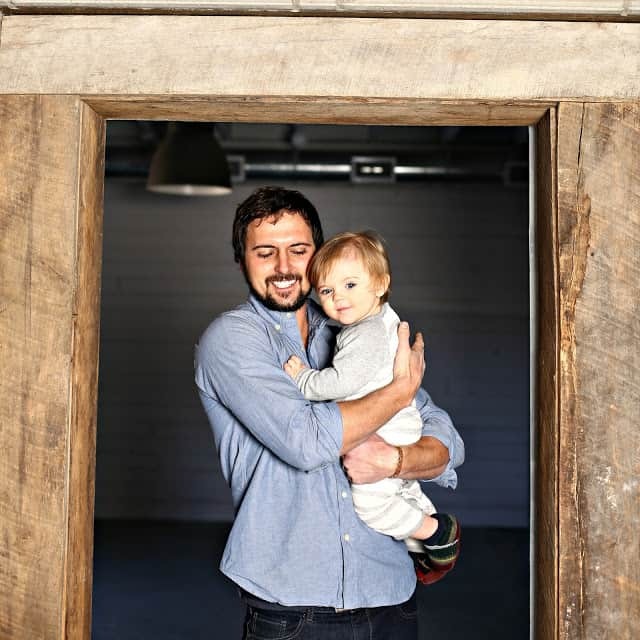 !” thing is a post all by itself, so in this case I want to talk about some specific reasons that our babies cry and share some tips for handling those problems. Always bring food for your baby with you whenever you go out. When my baby was under 6 months old, just being with her meant her food supply was nearby! If you are formula feeding, have a plan for feeding your baby on the go. There are great supplies that can help, such as portable bottle warmers, portable formula containers, and more. For older babies, be sure to have plenty of snacks in your bag to keep baby content. Talk with your doctor about how much your infant is eating. Make sure he/she is eating enough and often enough. Weight checks are also a helpful indicator of whether your baby is eating the right amount of food for him/her. Keep baby’s bottom clean. Never let your child sit in a wet or dirty diaper. This leads to cranky baby syndrome as it is, but also can irritate their sensitive skin. Plus… gross dude. Naked baby time! To prevent diaper rash and help clear it up, ditch the diaper for a bit. A good amount of fresh airtime is great for baby’s bottom. To control the inevitable pee/poo mess, try putting down layers of towels for baby to play on either on the floor or in a pack-n-play. Stick with the right diaper. Some diapers just don’t work for some babies. It’s kind of a trial and error thing. Figure out which diapers are no good for your baby and avoid them. 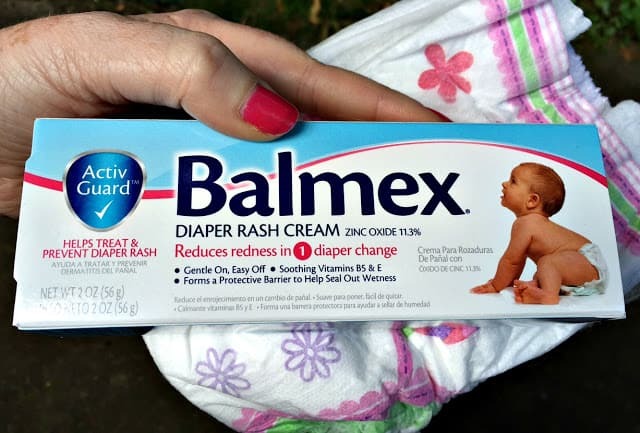 Use diaper rash cream like Balmex. It is awesome! I found that I needed to use it on my daughter every night to prevent diaper rash, and every diaper change when she did have a rash. It’s so helpful! 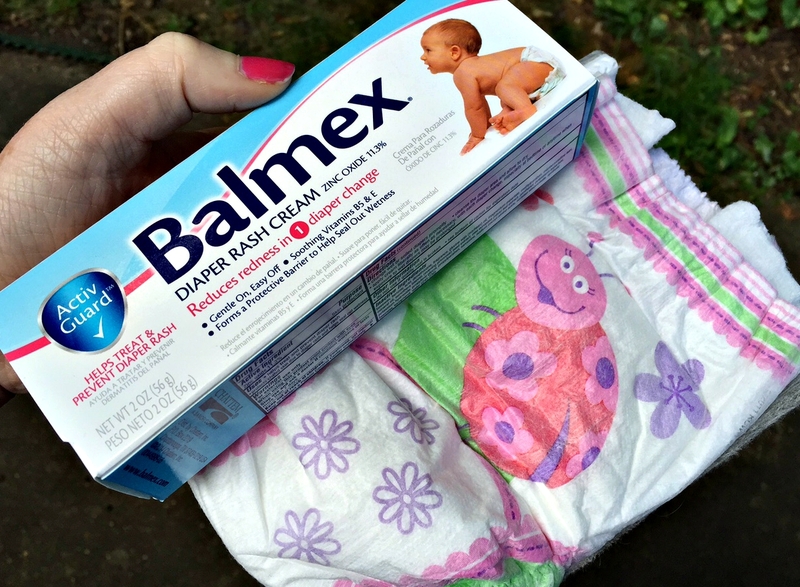 Balmex reduces redness in just one diaper change, is very gentle going on (important!) and comes off easily when cleaning baby’s bum, contains soothing vitamins B5 and E, and is 11.3% zinc oxide. Only Balmex has ActivGuard, to help neutralize harmful irritants found in dirty or wet diapers. Find Balmex at stores like Wal-Mart, Walgreens, Toys-R-Us/Babies-R-Us, CVS, and Kmart. Fight diaper rash! Fight irritation. End the red. Use Balmex instead. If breastfeeding, you may need to change your diet. 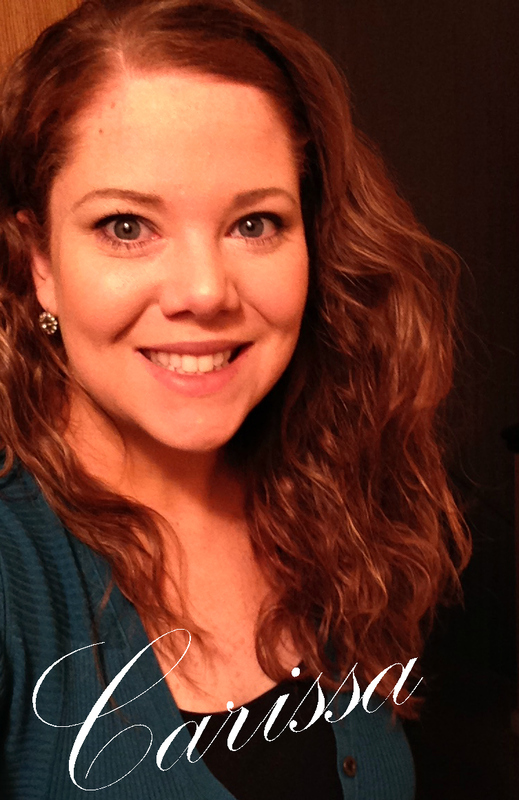 Consult with your lactation consultant on what foods to eliminate and for how long. Dairy and caffeine in moms diet are typical culprits of tummy problems for breastfeeding babies, but there can be other problem causers. If formula feeding, you may need to switch to a different formula. Talk with your doctor about the problems the baby is having and what formula you’re using. Many babies are lactose intolerant and need to use an alternative. Soy formula also causes issues for plenty of little ones, so there are other formulas that may be necessary. Try gas drops to help with gassy little tummies. Use different methods of burping baby to make sure all air bubbles are gone during and after feedings. Try searching YouTube for helpful tips. The “football hold” is often helpful for calming babies with belly pain. The little bit of gentle pressure on their tummy is the thing. Call your chiropractor. Seriously! Babies from newborn on up can really benefit from a chiropractic adjustment and it seems to help a lot with colic. How many parents out there have begged your little one to just “please go to sleep!!!”? Oh yeah, I feel ya. Sleep is wonderful. Sleep is healthy. But some babies don’t know how to do it the right way… or much at all. I know this is hard to understand for parents of babies who do not have to be taught how to sleep, so I’ll just leave this here for the rest of us: some babies do have to be taught how to sleep. My baby wins the worst sleeper award. As a newborn she slept at night in 3 3-hour intervals. It was diaper change, eat, sleep then repeat. Awesome! Then for some reason at 1 month old it stopped. She just stopped sleeping. She literally screamed the whole freaking night. No exaggeration. All night. Loud screaming that made me want to run away and never come back. I was stubborn and insisted on co-sleeping and waking with my baby to nurse whenever she wanted… which ended up being an average of 12 times a night by 7 months old. At times she would only sleep while I nursed her. She didn’t nap. She didn’t sleep for more than 45 minutes at a time during the night. She did scream… a lot. 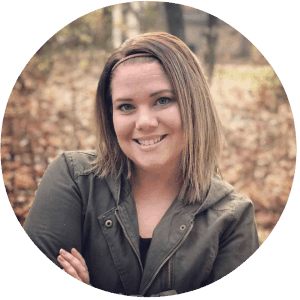 As I began to very literally fall apart and launch into an uncontrollable nervous breakdown, my husband told our pediatrician what was happening and she intervened. It was a very difficult time in my life, but I gave in to help, I gave in to routine, and I gained back my life and a happy baby. 8:00PM – Turn lights down all over the house. Reduce excess noise. Start white noise machine in baby’s bedroom. Baby massage time! Quiet, slow, restful time of the night. Sleep Training. Don’t tune me out now. Sleep training doesn’t mean sticking your child in a crib and leaving until morning. Sleep training is teaching your baby how to sleep so they can be happy and healthy. Simple. It should be as gentle as possible. Feel free to email me for some ideas on great books to read to learn how to do this without losing your mind. Ask other moms for tips, but ignore the judgment. Other moms can be so helpful and understanding when it comes to sleep challenges with our babies… except when they’re not. Just accept the good advice and tune out the rest. You’ll be ok, mama! Consult your pediatrician. If your baby is more than a few months old and still not sleeping well, you may need to check with your doctor to make sure there are no other health concerns. Adjust your expectations. Babies do need to eat at night. It’s normal and healthy for young infants to wake to eat a few times during the night. Ask for help. If you’re beginning to feel very tired, ask for help! Can the child’s dad or another close family member help out with nighttime feedings on occasion? Consider having family help or even hiring a sitter so you can take a nap. This is SO important! Yes, babies need attention. They need cuddles. They need to be talked to, read to, given little infant massages, carried around, and enjoyed. They’re only small for a short time; soak up every moment you can! Babies fuss when they’re uncomfortable, so check them to see what could be wrong. Tags in their clothing irritating their skin? Lose strings in clothing wrapping around their skin? Wear your baby – They love it! Plus you always know where they are. Ask other parents for advice when choosing a baby carrier. See if you can test out some of the more expensive carriers before making the purchase. Bouncy seat – They’re awesome because they’re usually very portable and you can bring them with you anywhere. Walker, play saucer, bouncer, etc. Baby TV programs or apps – they love the fun sounds, colors, and movement! 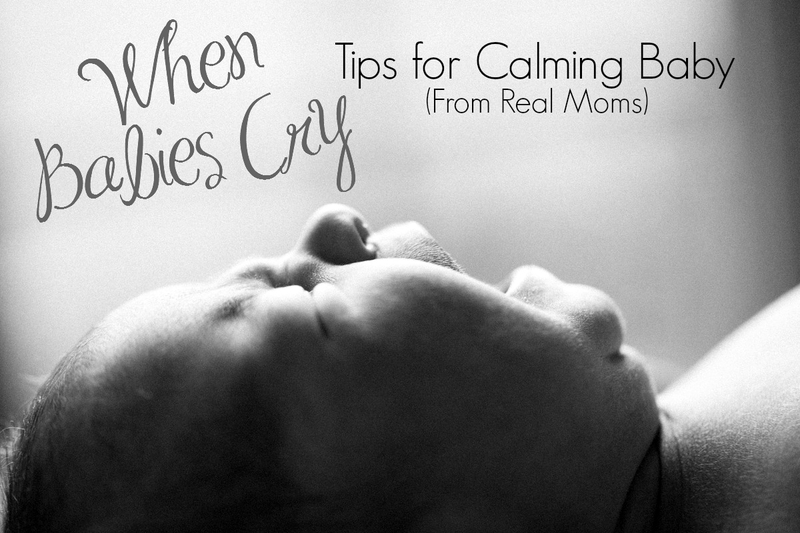 Tell me, what other great tips do you have to share for calming baby? Such a sweet and helpful post! My princess is now 7 months old and we put a lot of this into practice during those first months. My motto is everything else can wait until she is happy. 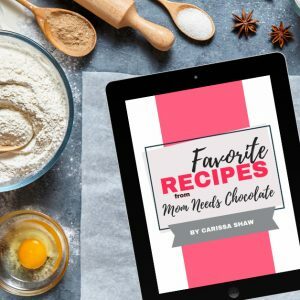 Such great tips… it's been years since I've had babies… but I will soon be a first time grandmother and these are wonderful tips! Thanks! To be very honest it is quite tough to handle a crying baby; therefore in most of the occasion we lost our temper and patience. There are several kinds of syndrome to identify why a baby is crying and from here in this article we came to know why a baby is crying and how to deal with these issues. I hope especially new mothers are able to learn some quick tips on how to handle their crying baby.